SIPRI is an independent international institute dedicated to research into conflict, armaments, arms control and disarmament. Established in 1966, SIPRI provides data, analysis and recommendations, based on open sources, to policymakers, researchers, media and the interested public. SIPRI was established on the basis of a decision by the Swedish Parliament and receives a substantial part of its funding in the form of an annual grant from the Swedish Government. The Institute also seeks financial support from other organizations in order to carry out its broad research programme. The task of the Institute is to conduct ‘scientific research on questions of conflict and cooperation of importance for international peace and security with the aim of contributing to an understanding of the conditions for peaceful solution of international conflicts and for a stable peace’. Since 2007, The Dr. Bates Gill is the Director for SIPRI. Mr. Rolf Ekéus is the Chairman of the Governing Board – which also includes Ambassador Mr. Lakhdar Brahimi, Former UN Special Adviser to the Secretary-General; and Mr. Jayantha Dhanapala, President, Pugwash Conference on Science and World Affairs, and former UN Undersecretary General for Disarmament Affairs. The volume of Indian imports of major weapons rose by 111 per cent between 2004–08 and 2009–13, and its share of the volume of international arms imports increased from 7 to 14 per cent. Meanwhile, Pakistan’s imports of major arms increased by 119 per cent. The major suppliers of arms to India in 2009–13 were Russia (accounting for 75 per cent of imports) and the United States (7 per cent), which for the first time became the second largest arms supplier to India. In contrast, the USA’s share of Pakistani imports in the same period was 27 per cent. China was also a major supplier in the region, accounting for 54 per cent of Pakistani arms imports and 82 per cent of Bangladeshi imports. Read more about the SIPRI 2014 data on arms transfers. The most well-known activity of SIPRI is the publication of SIPRI Yearbooks. They have been published for 40 year now, and are compendiums of data and analysis in the areas of • Security and conflicts; • Military spending and armaments; and • Non-proliferation, arms control and disarmament. The Yearbook serves as a single authoritative and independent source to which politicians, diplomats and journalists can turn for an account of what has happened during the past year in armaments and arms control, armed conflicts and conflict resolution, security arrangements and disarmament. Go for the SIPRI Yearbook web page. SIPRI hosts the FIRST (Facts on International Relations and Security Trends) online database of security-relevant information. Go to the FIRST database. The staff of about 50 persons is international. The researchers are recruited for a specific project period and represent various academic disciplines. The Institute also hosts guest researchers who work on issues related to the SIPRI research programme. Although SIPRI is not a teaching institute, it receives interns whose programmes of study can contribute to and benefit from SIPRI’s research. Contacts are maintained with other research centres and individual researchers throughout the world. SIPRI cooperates closely with several intergovernmental organizations, notably the United Nations and the European Union, and regularly receives parliamentary, scientific and government delegations as well as visiting researchers. Frequent contacts are maintained with diplomatic missions in Stockholm and with Swedish research centres. Within these fields of study, workshops, conferences, seminars and lectures are organized in order to bring together a broad spectrum of expertise and to exchange views on subjects studied at the Institute. 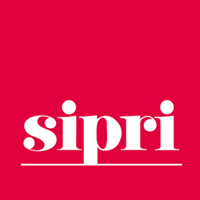 SIPRI research projects maintain large databases on military expenditure, arms-producing industries, arms transfers, chemical and biological warfare, national and international export controls, arms control agreements, annual chronologies of major arms control events, military manoeuvres and nuclear explosions. More information about the research programmes at SIPRI. During March 18-22, 2013, representatives from SIPRI visited India with the purpose to establish deeper forms of international cooperation and research exchanges and ultimately build new areas of research with an international impact within SIPRI and its regional counterparts in India. During the visit, the SIPRI delegation, led by its Chairman Mr. Göran Lennmarker and its Director Dr. Tilman Brück, met a number of research institutions, think-tanks and academicians as well as government officials and prominent thinkers on security and foreign policy. When in India, SIPRI also released its latest report, “Trends in international arms transfers, 2012”. Go for the report. Scholars from South Asia regularly come to SIPRI to work as staff or be visiting researchers for periods. Since September 2009, Dr. Bharath Gopalaswamy has been affiliated to SIPRI as a researcher in the programme on Arms Control and Non-proliferation. He is otherwise a Postdoctoral Associate at Cornell University’s Peace Studies Program in USA. Previously he has worked at the Indian Space Research Organization’s High Altitude Test Facilities, and the European Aeronautics Defense and Space Company’s Astrium GmbH division in Germany. Before coming to Stockholm he was a postdoctoral associate at the Peace Studies Program, Cornell University in Ithaca, New York State, USA. On 9 February 2010, he published an article together with Dr. Harsh Pant, King’s College, London, UK for Rediffnews.com entitled ”Does India need anti-satellite capability?” In their article, they argue that in the short to medium term India’s scarce resources would be better served by focusing on reducing the disparity with China in space. Developing ASAT capability is something that can wait. Read the article. In the Fall 2009, Noor Mohammed Khan, Chief Executive Officer, eJirga Program, Peshawar, Pakistan, worked at SIPRI as a Guest Researcher. Mr. Khan has an MA in Governance and Development from the Institute of Development Studies, University of Sussex, UK. In recent years he has worked with development projects in Pakistan for the United Nations Development Program (UNDP), and the British Department for International Development (DFID). The objective of his stay at SIPRI was to design a research project focusing on the New Policy Dimensions in relation to the conflicts in South Asia (including Pakistan/Afghanistan). He also attended a conference in Istanbul arranged by SIPRI on exploring regional solutions to the conflict in Afghanistan with a focus on the role of Iran in reconstruction efforts of Afghanistan. At this conference, Dr. Khan presented a paper on the challenges being faced by Pakistan and it implications for peace. While in Stockholm, Noor Mohammed Khan had an opportunity to share his thoughts with other colleagues and also lecture at Stockholm University. On 16 September 2009, he held an open lecture on ”The Current State of Pakistan/Afghanistan War, New Directions and Pitfalls” at one of the regular Wednesday lectures arranged by the Centre for Pacific Asian Studies (CPAS). In early 2005, another Pakistani researcher, Aarish Ullah Khan from the Institute of Regional Studies (IRS) in Islamabad, worked at SIPRI as a guest scholar for some months. During his stint at SIPRI, he published a Policy Paper entitled ”The Terrorist Threat and the Policy Response in Pakistan”. In this paper he set out in concentrated and penetrating fashion the historical, political and strategic background to Pakistan’s experiences with religiously motivated terrorism as both a tool and a curse. Go for the Policy Paper.